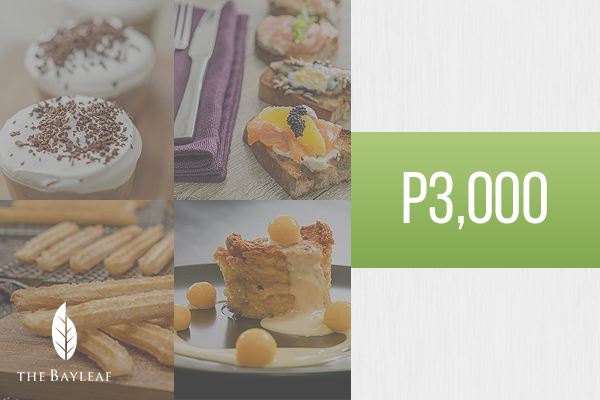 Dining nowadays has gone way beyond just filling your hunger pangs. Today, it’s about choices and ambiance, experience and setting. In a nutshell, it’s about choosing what you want to eat, in a setting that you prefer to have. Now, that’s a dining experience. The in-house restaurants in Bayleaf Intramuros lets you indulge – not only in your food choices, but also in your ambiance of the place. So whether you want to have a casual meal in the penthouse or snag an al fresco table with a 360 degree view of the entire city, you’ve got it at Bayleaf. Check their website for restaurants' hours. Not sure what to try? The staff is always happy to give recommendations.